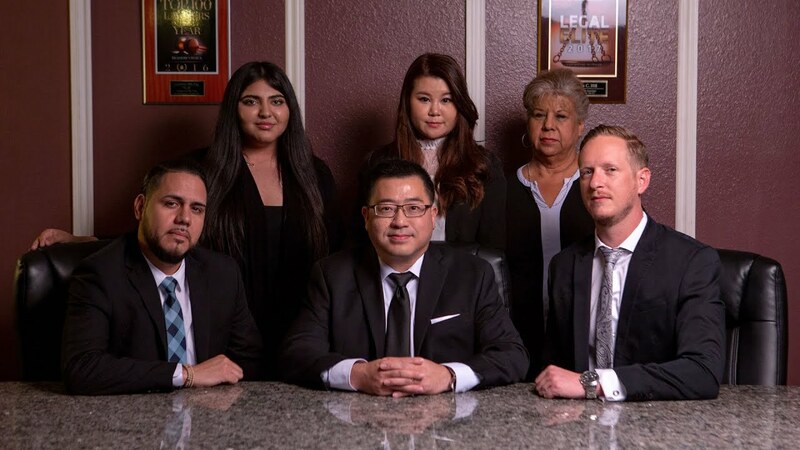 Lawrence C. Hill & Associates is an experienced Las Vegas personal injury law firm delivering quality legal services to Nevada residents in the most efficient and effective manner possible. We strive to achieve the optimum outcome for our clients and to ensure the highest level of service and attention. Our firm is a champion for victims of serious injuries caused by negligence. Our firm handles all personal injury matters, including auto accidents, slip and falls, premises liability, medical malpractice, nursing home negligence, and animal bites. Our firm’s dedication to the rights of Nevadans does not end at personal injury. Lawrence C. Hill & Associates also has significant experience as criminal defense and immigration attorneys fighting for the rights of clients facing serious legal issues in criminal court and with immigration matters. With same day appointments available and a 2-hour turn around on phone messages, we are dedicated to providing effective, responsive legal services. Our attorneys represent families and individuals who are impacted by injuries or deaths caused by negligence. The aftermath of an accident can be devastating. Our team is dedicated, hard-working, and eager to assist. We take every case seriously and prepare as if it will be tried in a court of law. The preparation and detailed planning that goes into each lawsuit enables Lawrence C. Hill and Associates to get the maximum compensation possible for you and your family. If you are involved in an auto accident and it was not your fault, contact our firm. Auto accidents can involve a number of vehicles, including cars, trucks, mass transit options, and those hit by vehicles as passengers, cyclists, or injured as a passenger. When you need an attorney, Lawrence C. Hill & Associates are ready. Being involved in an accident is a terrible situation. When the other party chooses to get behind the wheel after drinking and causes serious harm, it is even more important to hold them accountable. Our firm takes these cases very seriously for the sake of our clients’ future and that of other potential victims of this person’s negligence. Premises liability cases generally involve people who are injured on others’ property because of negligence, whether that be a private, commercial, or municipal. These accidents can involve parking lots, supermarkets, hotels, casinos, sidewalks, elevators, and even inadequate security. Proving negligence is complicated and deserves a thorough investigation. Lawrence C. Hill, Esq. founded the firm with the goal of providing aggressive and effective representation on a foundation of honest, forthright legal services. He is honored to be of service to clients and proud of the reputation the firm has built over the years. Larry, as his clients refer to him, has been recognized for his talent and success by Silver State’s Top Attorneys, Legal Elite in the Nevada Business Magazine, and the American Institute of Personal Injury Attorneys. He also maintains an AV Preeminent Rating with Martindale-Hubbell. Our firm’s reputation is built on years of service to Las Vegas. We pride ourselves on the care and commitment we provide every person who retains our services. Our successes over the years are thanks to collaboration, preparation, and dedication. When we take a case, our firm taps the talents of the whole firm to provide the most comprehensive legal services possible to every client. We are prepared for anything. Though most cases settle, we prepare to litigate in order to show the other side we are going to do what it takes to get the best results possible for our clients. Lastly, when clients hire us, they feel like a part of the team. We work closely with clients to make sure they are treated with the personalized attention they deserve and thoroughly educated on their case, so they can make informed decisions. As a multi-disciplinary law firm that practices across a wide range of legal areas, we also appreciate the diversity and cultural differences of our clients. Therefore, we have staffed our office with multi-lingual professionals with the ability to transcend the limitations of cultural and language barriers that typically hinder a law firm’s ability to effectively represent a diverse and multi-cultural clientele. We celebrate the diversity featured in Las Vegas and Nevada. Larry's a great guy and was very thorough answering our questions. We are glad to have his representation, awesome service! Larry is very professional and helpful; he's the best lawyer I've ever worked with! He responds immediately to all calls/texts, and he was upfront and honest in every phase of my case. It was a pleasure working with him and I look forward to using his services in the future. I highly recommend him to anyone in need of legal services. Larry and his team are awesome! They listen and care and are very responsive. I will never use any other lawyer except for this one. I‘m glad my friend recommended Larry to me! I am grateful to Lawrence C. Hill for handling my case. He is a GREAT Lawyer! Everyone is very friendly. If I ever have a problem, I would definitely call this company again. I highly recommend these guys! :) Thank you so much for everything! Due to a bad car accident, I met Larry. Larry is very knowledgeable and took my case perfectly. I lost my car because of that but his hard work and dedication for a long period of time paid off. I needed to go to the doctor but I was able to get good treatments. He kept me updated and felt good about the status of my case. Highly recommended!!! I was introduced to meet Lawrence Hill, Esq because of an unexpected car accident. They are very professional and friendly. They help me go through the most difficult time in my life so far. I do appreciate their hard work. Larry was able to assist me with my case with the utmost professionalism & care one could ask for. The whole office team was awesome, from the receptionist to the rest of the legal team. They were able to follow up with me & keep me up to date with all my appointments & court dates. Keep up the great work!